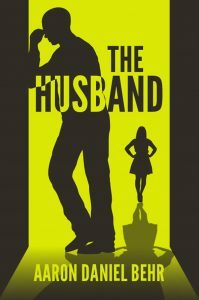 The Husband by Aaron Daniel Behr Now Available! The Husband, a memoir by Aaron Daniel Behr, is now available on all major markets! Loser. Thug. Abuser. Stupid. Worthless. Insults play on repeat in The Husband’s brain. He has been bullied and abused. An affair by The Wife, the one person The Husband loved the most, leaves him standing in a dark basement with a homemade noose around his neck. As The Husband struggles silently through the anguish of betrayal and divorce, he turns inward to face a host of past tormentors, and confront The Creator. One way or another, The Boy inside him will stop the pain. This raw, redemptive memoir will reshape our discussion of the victims of divorce and mental illness. Aaron Daniel Behr loves God, rhetoric and literature. He has been broken, pieced back together, stitched up, and lost his identity a few times. He is passionate about the transforming power of reading, and believes he was called by God to start a discussion about divorce, suicide and mental illness. He has previously published short stories in the anthologies Triskaidekan and For the Road. 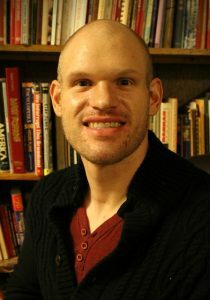 He live in Mount Vernon, Ohio and is a graduate of Mount Vernon Nazarene University. Learn more about Aaron on his website: www.AaronDanielBehr.com. He can also be found on Twitter @aarondanielbehr and on Facebook. Posted in General News, The Husband•1 Comment on The Husband by Aaron Daniel Behr Now Available! Organizing for Christian Hospitality Now Available on Amazon!